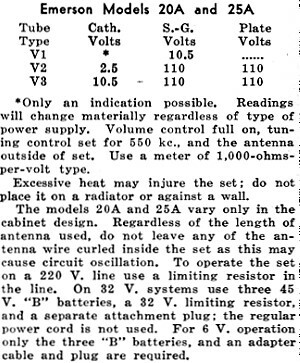 Here is Emerson Model 20A and 25A Radio Service Data Sheet as featured in a 1933 edition of Radio-Craft magazine. 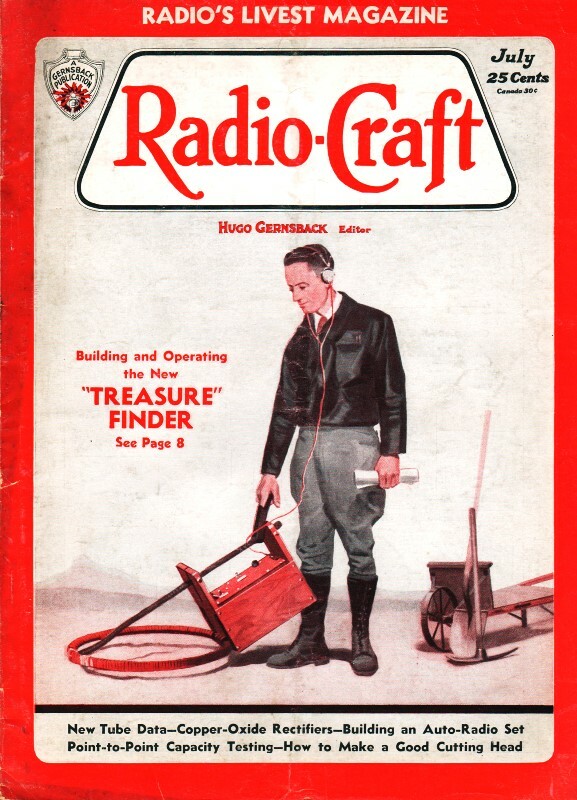 As mentioned many times in the past, I post these online for the benefit of hobbyists looking for information to assist in repairing or restoring vintage communication equipment. *Only an indication possible. Readings will change materially regardless of type of power supply. Volume control full on, tuning control set for 550 kc., and the antenna outside of set. Use a meter of 1,000-ohms-per-volt type. Excessive heat may injure the set; do not place it on a radiator or against a wall. The models 20A and 25A vary only in the cabinet design. Regardless of the length of antenna used, do not leave any of the antenna wire curled inside the set as this may cause circuit oscillation. To operate the set on a 220 V. line use a limiting resistor in the line. On 32 V. systems use three 45 V. "B" batteries, a 32 V. limiting resistor, and a separate attachment plug; the regular power cord is not used. For 6 V. operation only the three "B" batteries, and an adapter cable and plug are required.